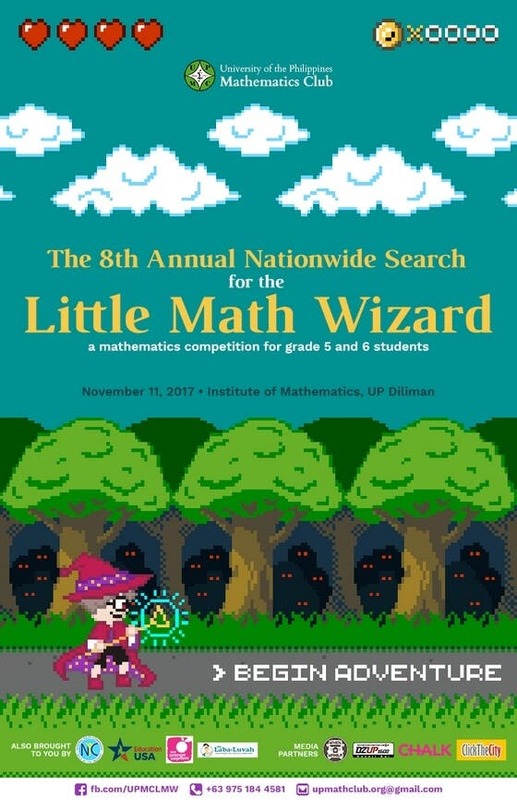 The University of the Philippines Mathematics Club (UPMC) will be hosting “The 8thAnnual Search for the Little Math Wizard,” an annual Mathematics competition for Grade 5 and Grade 6 students from schools all over the Philippines. The event will be held on November 11, 2017 at the Institute of Mathematics, University of the Philippines Diliman. The competition will include questions in algebra, geometry, number theory, logic, and recreational mathematics. First held in 2010, the Annual Search for the Little Math Wizard remains committed to its mission of discovering young minds and searching for the best among the kids across the Philippines. Through this competition, the UP Mathematics Club aims to provide a venue for the participants to use their vast knowledge and skills in Mathematics and interact with their fellow contestants, and to promote an atmosphere of healthy competition. 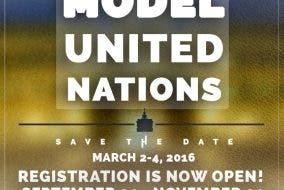 You may register online at http://tinyurl.com/LMW2017-Join. You may view the rules and regulations at http://tinyurl.com/LMW2017-Documents. This event is also brought to you by EducationUSA Philippines, National Youth Commission, Mr. Laba-LuvahKatipunan, and Orange Segment. With our media partners: WhenInManila.com, DZUP 1602, chalk.ph, and ClickTheCity. To learn more, visit upmathclub.org or facebook.com/UPMathematicsClub. For inquiries, feel free to send a message to our Facebook page. You may also contact us thru 0975 184 4581 (Richell) or upmathclub.org@­gmail.com.